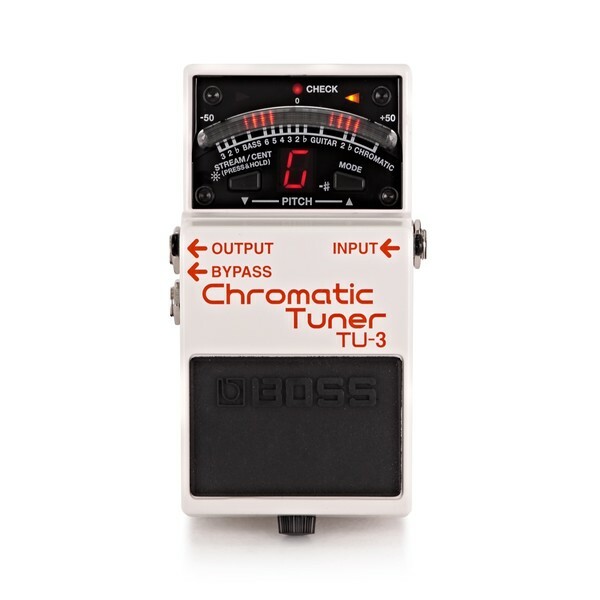 The Boss TU-3 Chromatic Tuner is a popular choice for professional, gigging musicians. 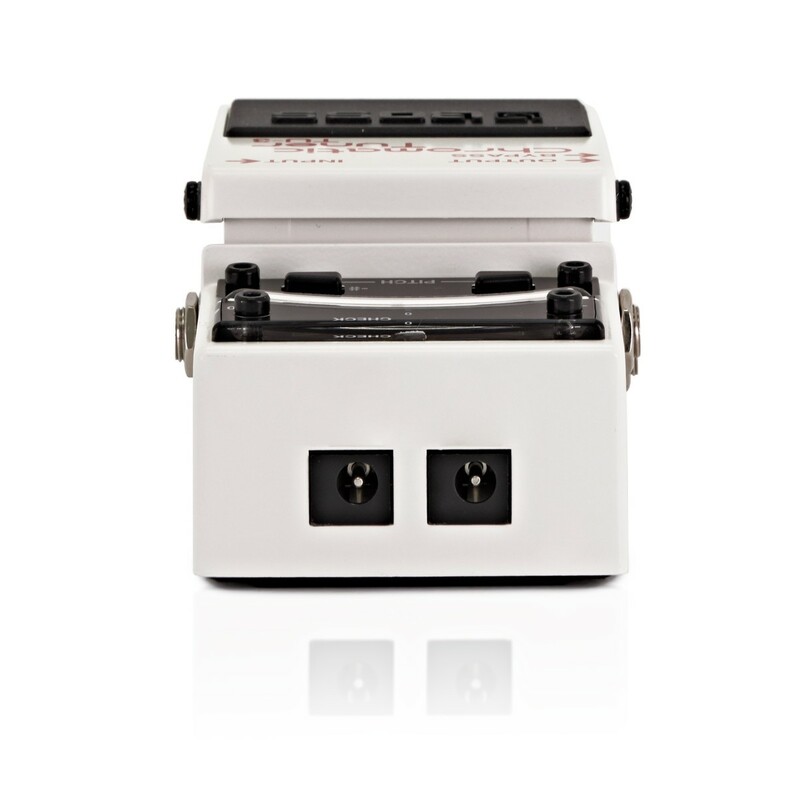 Equipped with a 21-segment LED meter, the TU-3 offers perfect visbility even in poor lighting. 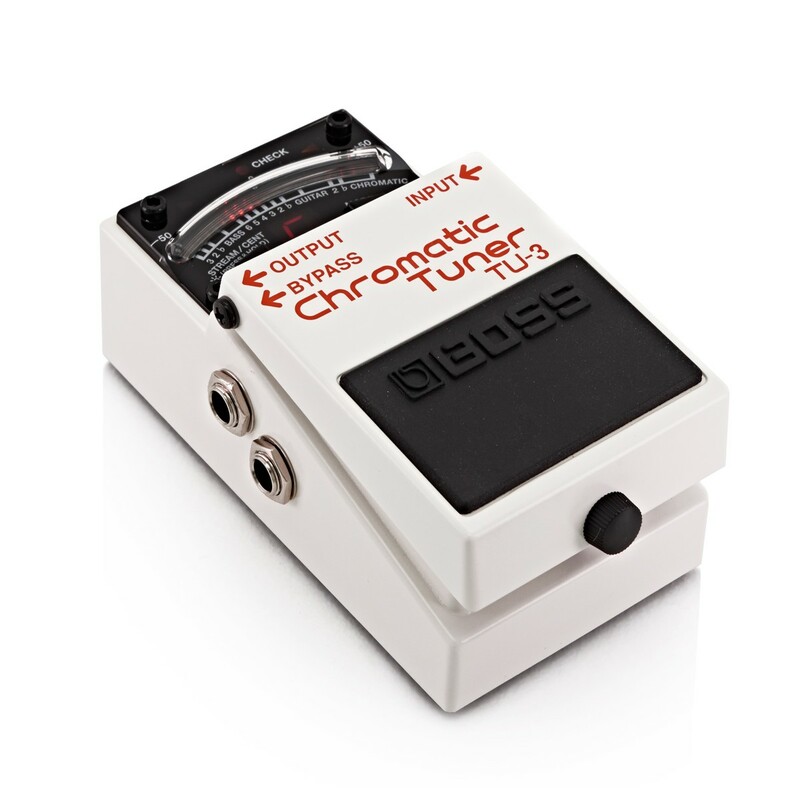 Compatbile with guitar or bass, the Boss TU-3 can also supply power to other pedals on your board, and its roadworthy design makes it the perfect choice to last a lifetime of gigging. 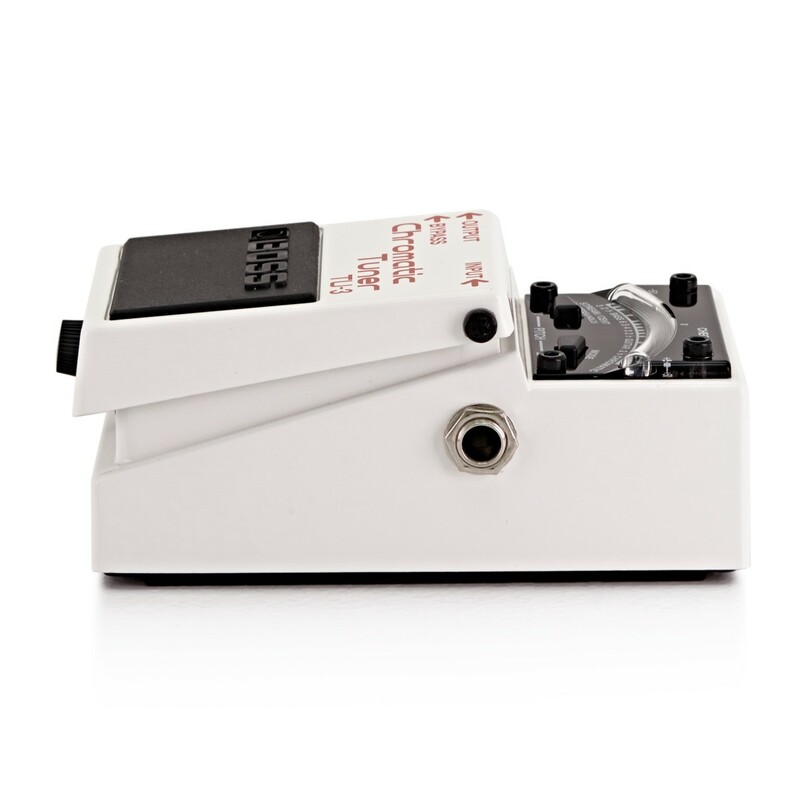 Housed in a really tough BOSS stompbox body and featuring a smooth 21-segment LED meter with a High-Brightness mode, the Boss TU-3 cuts through the brightest lighting conditions. Choose between Chromatic or Guitar/Bass tuning modes, and enjoy improved visual pinpoint tuning verification with the Accu-Pitch Sign function. 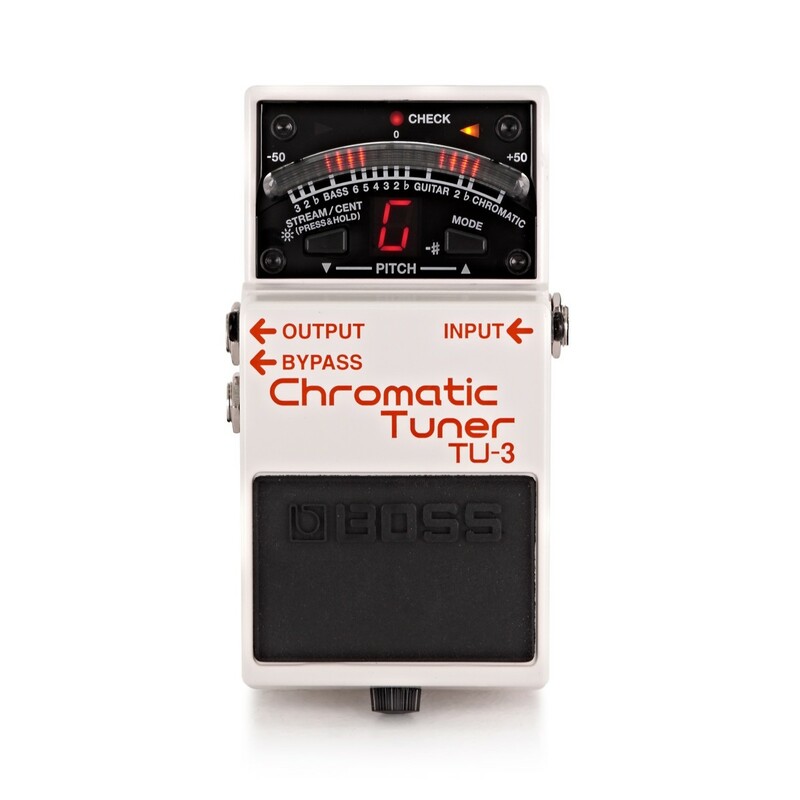 The Boss TU3 incorporates a convenient Note Name Indicator that can display notes of 7-string guitars and 6-string basses, while the Flat-Tuning mode can support up to six half-steps.